OGE Energy Corp. to hold naming rights to ASA Hall of Fame Field ! Official OGE Energy Field launch takes place May 29 . . . . . .
OKLAHOMA CITY– OGE Energy Corp. (NYSE: OGE) today announced that it has entered into a 20-year agreement with the Oklahoma City All Sports Association and the Amateur Softball Association (ASA)/USA Softball for naming rights to the stadium field at the ASA Hall of Fame Softball Complex. The new name for the field, OGE Energy Field at the ASA Hall of Fame Stadium, will be launched May 29 during the opening day of the 2014 NCAA Women’s College World Series (WCWS). Sean Trauschke, OGE Energy President and CFO, will throw out the first pitch at 6 p.m. on May 29. The ASA Hall of Fame Complex is widely regarded as the finest softball facility in the nation and even the World. With four fields and many other amenities, the complex has played host to the most recognized softball competitions in the world, including USA teams that represent the nation in international competitions. The complex draws more than 120,000 fans a year to approximately 30 events with more than 400 teams from over 25 states. The NCAA WCWS draws more than 75,000 spectators from around the nation, with ESPN coverage during the seven-day event. The agreement also calls for OGE Energy to work with the ASA on a capital improvement plan to incorporate energy efficient and sustainable technology and practices within the field and the ASA complex. “We want the field to serve not only as an entertainment venue but also as an educational platform on energy efficiency stewardship for all who visit here, especially young people,” Trauschke said. Upgrades include improvements to the dugouts and locker rooms as well as building a new media center and pressbox, adding suites and a 4,800-seat expansion as a part of the overall plan. OGE Energy is the parent company of Oklahoma Gas and Electric Company, a regulated electric utility serving approximately 810,000 customers in Oklahoma and western Arkansas. In addition, OGE holds a 26.7 percent limited partner interest and a 50 percent general partner interest of Enable Midstream, created by the merger of OGE’s Enogex LLC midstream subsidiary and the pipeline and field services businesses of Houston-based CenterPoint Energy. The Amateur Softball Association, founded in 1933, is the National Governing Body of softball in the United States and a member of the United States Olympic Committee. The ASA has become one of the nation’s largest sports organizations and now sanctions competition in every state through a network of 76 local associations. The ASA has grown from a few hundred teams in the early days to over 165,000 teams today, representing a membership of more than 2.5 million. For more information on the ASA, visithttp://www.asasoftball.com/. USA Softball is the brand created, operated and owned by the ASA that links the USA Men’s, Women’s, Junior Boys’ and Junior Girls’ National Team programs together. USA Softball is responsible for training, equipping and promoting these four National Teams to compete in international and domestic competitions. The USA Softball Women’s National Team is one of the only two women’s sports involved in the Olympic movement to capture three consecutive gold medals at the Olympic Games since 1996. The U.S. women have also won nine World Championship titles including the last seven consecutive as well as claimed six World Cup of Softball titles. For more information about USA Softball, please visit http://www.usasoftball.com/. Almost one-fourth of private sports complex will come from tax funds ! Lincoln, Nebraska – Tax dollars will cover almost one-fourth of the cost of a $13.8 million sports complex under development in northwest Lincoln. Developers for the Great American Sports Park are seeking $2.1 million from tax increment financing and $1.18 million through a special 2 percent occupation tax on all sales in the sports complex area. The TIF funds would be repaid from the property taxes paid by the sports complex over the next 15 years. The occupation tax would be paid by the people who pay the fees to play and buy concessions and souvenirs at the complex. The 2 percent occupation tax sought by the developers would not apply in other areas of Lincoln, said Wynn Hjermstad, with the city’s Urban Development staff, during public hearings on the Great American Sports Park proposal Monday night. The City Council will vote on the TIF and occupation tax bonds and on the TIF agreement at its next meeting on June 2. A project must have private investments of at least $2 million and employ at least 25 people in order to meet the state requirements for the special occupation tax, Hjermstad said. “This is a developer-driven tool and was requested by the developer,” she said. The Great American Sports Park is one of two private multifield sports complexes being planned in Lincoln. The 10 fields planned for the Great American Sports Park are being designed primarily for softball. The sports park, to be constructed on about 38.6 acres at Sun Valley Boulevard and Charleston Street, will include concession stands, parking and new roads. The entire area is in the flood plain, and it is a former landfill site. There are a lot of challenges, Hjermstad said. As defined currently, TIF and the revenue from the new occupation tax would be used for the public streets, sidewalks, water and sewer utilities and property acquisition. The private development is a way to increase the city’s recreation resources without the city picking up the tab, Hjermstad said. The developers are hoping that the fields will bring in tournaments and become a magnet for hotels and restaurants that might build in an adjacent area. Developers of the renovated Nebraska Crossing Outlets in Gretna are using the occupation tax to pay for some of the improvements at the shopping center, Rick Peo, chief assistant city attorney, told the council. Developers of the Great American Sports Complex are also seeking approval from the council to sell alcohol at adults-only events at not only the new softball complex but the existing Optimist Youth Sports Complex in southwest Lincoln. There are no current plans for using the special occupation tax elsewhere in Lincoln. Another private group is developing a 10-field soccer complex, called Speedway Sporting Park, in southwest Lincoln. 23 Best Ways to Get and Keep Motivated ! 8. Have goals—but remain flexible. No plan should be cast in concrete, lest it become more important than achieving the goal. 16. 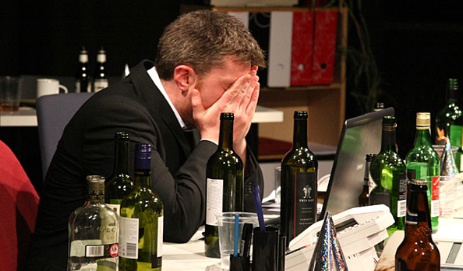 Treat inaction as the only real failure. If you don’t take action, you fail by default and can’t even learn from the experience. 17. Welcome obstacles. You can’t grow stronger if you’re not lifting something heavy, so savor your problems. 18. Get perspective. Take the time and effort to step back, reexamine your assumptions, and find truths that you missed before. 19. Appreciate being alive. Never neglect to marvel at the miracle of conscious existence, which is all too soon over. 20. Relax more often. Spend at least one hour every day doing something that’s just because you enjoy doing it. 21. Experience wonder. Take pleasure in the unexpected and unusual because without them life would be tedious and boring. 22. Be playful. The joy of a child still lives inside you; let that child out at least once each day. 23. Give thanks. Experience deep gratitude for all the wonderful things in your life: family, friends, work, and play. Earning Their Stripes as Umpires and Referees ! In 2012, when David Martinez left a job teaching math at a high school in Bayonne, N.J., to try to become a professional baseball umpire, he understood that the numbers might not add up. At the time, he earned $40,000 a year as a teacher and supplemented his salary by umpiring high school baseball. “Between my wife and I, we were doing well,” Mr. Martinez recalls. 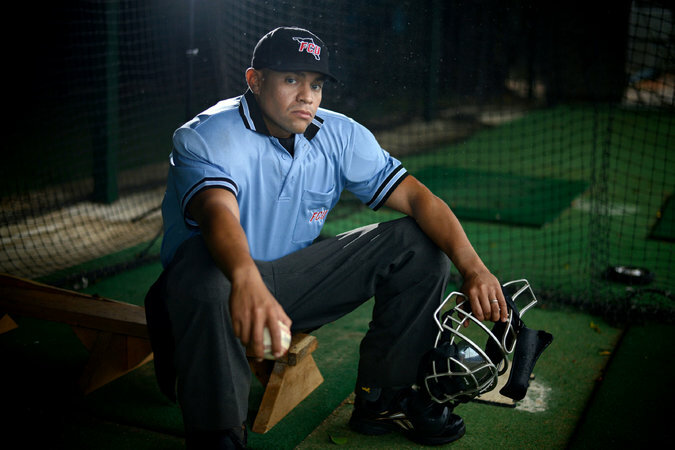 But the promise of calling balls and strikes for a living — even a meager one (rookie umpires in Minor League Baseball make $1,900 a month and typically work from mid-June until Labor Day) — proved too tempting to pass up; he recently moved to Boca Raton, Fla., found a job as a valet at a nightclub to pay his bills and enrolled in one of the two training programs for umpires sanctioned by Major League Baseball. The long, winding and rutted road to the big leagues is “not for the faint of heart,” cautions Barry Mano, president of the National Association of Sports Officials. “You are making very little money. You are away from your family. You’re being housed in hotels, two to a room. You’ve got to be diseased, I think. Landing one of the more than 300 coveted positions in the “big four” sports — Major League Baseball, the National Football League, theNational Basketball Association and the National Hockey League — is a rare feat. The jobs generally pay six-figure starting salaries and turnover is negligible; the National Hockey League, for instance, hired just one new referee last year. Major League Baseball just went on a veritable hiring binge, employing seven new umpires, but six of those jobs resulted from the expansion of instant replay and the anticipation of more challenges and reviews. Despite the caveats, Mr. Mano says he believes that it has become more possible in the last 10 years to make a living — occasionally a lucrative one — officiating. He estimates that top basketball referees working National Collegiate Athletic Association Division I basketball games can make up to $250,000 in a season, though as independent contractors they must cover the costs of travel and health insurance. 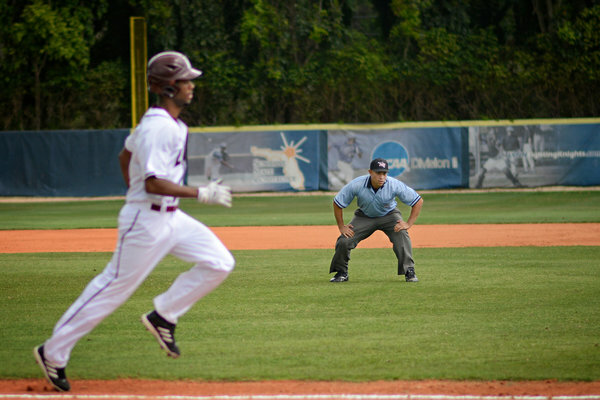 Though compensation varies depending on the college conference, baseball umpires working in Division 1 can earn about $400 a game and mileage, lodging and a modest per diem. Hockey referees earn up to about $400 for a Division I college game, linesmen about half as much. Football referees can make up to $3,000 for 60 regulation minutes, but they work the fewest games of the four sports. Some sports, like wrestling, face a perpetual shortage of officials. Joe Altieri, spokesman for the New York State Public High School Athletic Association, says the number of officials in his organization is relatively stagnant — and that concerns him. “We are aggressively seeking officials in high school sports in New York,” he said. Ashlee Harrison of Norristown, Pa., a basketball referee, likes the work. “Right now, it’s the best part-time job I’ve ever had,” said Ms. Harrison, 32, who jumped into officiating four years ago after coaching high school basketball. As with many new officials, at first she refereed games played by 12-year-olds for as little as $25; she now makes far more and sometimes works seven days a week at the women’s junior college and Division III levels. “The games I drive to can be two, two and a half hours away,” said Ms. Harrison. “It’s literally an eight-hour day by the time you get back.” But she expects to consider officiating as a full-time job soon. When Ms. Harrison is not working a game, she is probably working out. League executives demand that officiating recruits be in great physical shape, on top of requiring sharp vision (contact lenses are acceptable, but glasses could invite fan derision). Joe Borgia, the N.B.A.’s vice president for referee operations, readily acknowledges that he uses weight to size up officiating prospects. “The first thing you are looking for is someone who is athletic, who can run the court,” he said. If someone is “50 pounds overweight and can’t run,” Mr. Borgia says, he skips to the next ref. To hunt for the strongest recruits, Stephen Walkom, the National Hockey League’s director of officiating, is organizing the league’s first officiating combine in Buffalo this summer to test prospective referees on and off the ice, as if they were players preparing for the draft. “We need athletes first,” said Mr. Walkom. Aside from strengthening their bodies, aspiring officials must develop their networking skills. Mr. Mano counsels new referees to join officiating associations to learn about local “assignors,” the talent coordinators who book officials for collegiate games. Some assignors operate off-season camps, which Mr. Borgia likens to job fairs. Current or former pro officials also stage clinics to teach their craft (some call it an art) and informally scout new talent. Starting in April, Ms. Harrison plans to attend one program each month throughout the summer at a cost of $100 to $300 each. “You want people to know who you are,” she says. Mr. Mano has thought about establishing “a good housekeeping seal of approval” for officiating camps. Some programs, he warns, “simply take your money because they are in a position of authority.” He urges officials shopping for a camp to conduct some research and interview former graduates. What may not be coachable is “the ‘it’ factor” — defined by Mr. Borgia of the N.B.A. as a mix of confidence, decisiveness, discretion and accuracy. “Judgment is a huge part of officiating,” agrees Edward G. Hochuli, a National Football League referee and arguably the only celebrity in stripes (case in point: the Ed Hochuli Fans Facebook page), who is known for his buff build (he played linebacker in college) and his on-field explanations of penalties. When Joe Crawford, an N.B.A. referee who also operates the Next Level Referee Training camp near Philadelphia every June, appraises officials, he singles out “schmoozers,” who yammer during games. Emerging evidence that football players risk severe head trauma led to a recent class-action lawsuit by retired players who sustained concussions and brain injury. Though the settlement was rejected by a federal judge in January, the N.F.L. now provides its officials with better training about spotting the signs of a concussion. The emergence of instant replay has both eased and complicated an official’s responsibilities. Replay enables officials to narrow their focus at critical junctures in a game. Mr. Borgia offers an example: A basketball player takes a three-point shot at the end of a period. Before replay existed, Mr. Borgia simultaneously tried to watch the player’s feet (to make sure they were outside the three-point line), the defender (to detect any rule-breaking contact with the shooter) and the game clock (to see if the shooter beat the buzzer). “You can now mainly cut your focus to one thing: Did he foul him or not?” Mr. Borgia said. Instant replay also lets sports channels repeatedly highlight — and mock — blown calls. Mr. Hochuli said that earlier in his career he officiated games covered by just three television cameras. Now, he says, as many as 64 cameras scour the field. “There are so many cameras looking at everything that you do, if you ever make a mistake — to the boss, or the N.F.L., or the fans or the announcers — you’re not going to get away with anything,” he said. He will soon have the opportunity to display his cool in the heat of a professional baseball game. Last month, he accepted a job as an umpire in the lowest rung on the professional baseball ladder.